I'd been looking forward to reading this book for quite a while. Knowing it was about a young child who discovers a boy being kept hostage/prisoner in a hole and and what unfolds next was enough to significantly grab my attention. Reading it however was a completely different experience and a major disappointment. 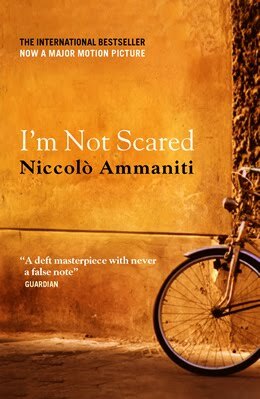 Set in Italy, the translation from Italian to English is extremely noticeable and often interrupts the natural flow of the descriptive sections of the novel. The setting and location felt isolated to me and not well developed. The discovery of the kidnapped boy in the beginning of the book was the most exciting part, and then it was all down hill from there. The middle of the book was frustrating as I struggled with the direction the 9 year old boy was taking with his new found knowledge. There was a slight surprise in the circumstances surrounding the kidnapping which I thought was building to an exciting big 'reveal' at the end which unfortunately didn't happen. The ending was very predictable and reminiscent of The Boy in the Striped Pajamas, although I'm happy to report that it appears this novel was published first. In fact the ending was so lacking an explanation for the kidnapping that I thought I must be missing a page or two. Perhaps it had fallen out of the library book. This idea kept me going for a few minutes, and led me to the ever faithful Amazon and Google. I guess you could say this is proof of a terrible ending and a great disappointment. The ending went beyond ambiguous to just plain lacking. This was a terrible read, and I wouldn't recommend this book to anyone.